Nueva versión, La cabeza del grabador laser no está incluida. 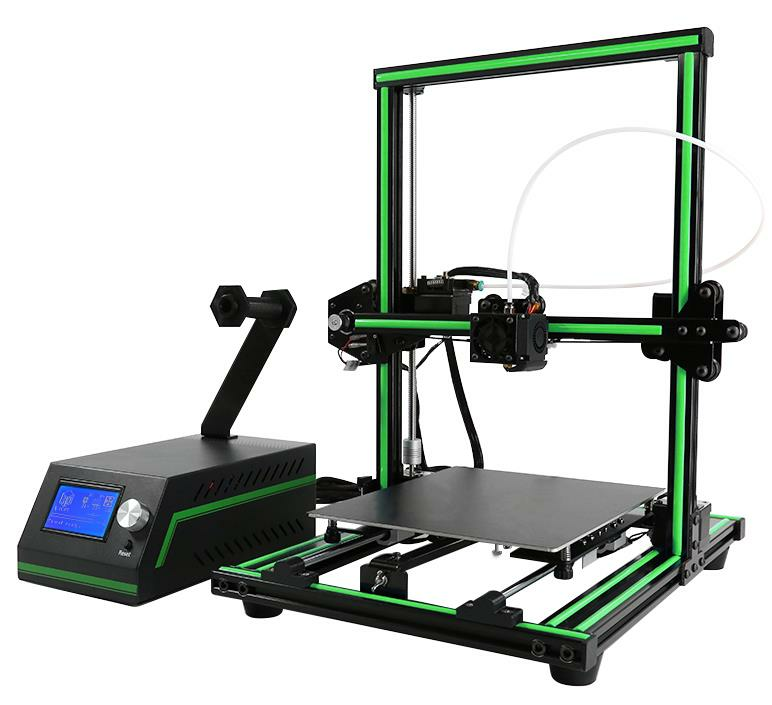 Creality 3D CR-8 La impresora 3D tiene sólo 3 partes para ensamblar, los ejes X, Y y Z, sólo necesitan 10 minutos para construir y conectar el cable. Apoya la talla del laser con el laser atado. Su plataforma de impresión es flexible, puede doblar la cama para recoger las artes 3D fácilmente cuando termine la impresión. Hecho con la ranura más nueva de V, la CR-8 impresora 3D trabaja más reservado. Principalmente madera, placa de acrílico, plástico, cuero, etc. Este envio no ha llegado . Despues de mucho esperar contacto aduana y me dicen que sera devuelto . Ha habido un error en la parte externa del paquete que ha impedido hacer una notificacion . Ahora esta en proceso de devolucion , pero no se la causa directa . Dado que soy cliente VIP por comprar muchas veces , creo deben devolver el importe de la factura . Confio se pongan en contacto conmigo . Very easy to assemble . All the smaller parts are pre assembled , takes about 20 min to put together . Would like to see some more English instructions/video . First of all , you have to know some basic knowledge to put it together , more important is bed triming . You could easly build it up in an hour maybe but have to give few hours to trim bed and z axis to get it work perfectly . I got mine in some decent condition . Dunno maybe i imagine but it felts me its used for several times . ( the rotors seems old somehow) More curious thing is the extruder cage . it was damaged in shape . So i have to give few more hours to get the parts work perfeclty ( with pliers and etc ) cuz it didnt fit in V Slots . So yeah thats the reasons why i thought it was used . Its doing its job perfeclty , when u trim/prime Z Axis and Bed . Use ( means buy ) Blue Tape instead what they send for the bed cuz its worst tape that i ever get . 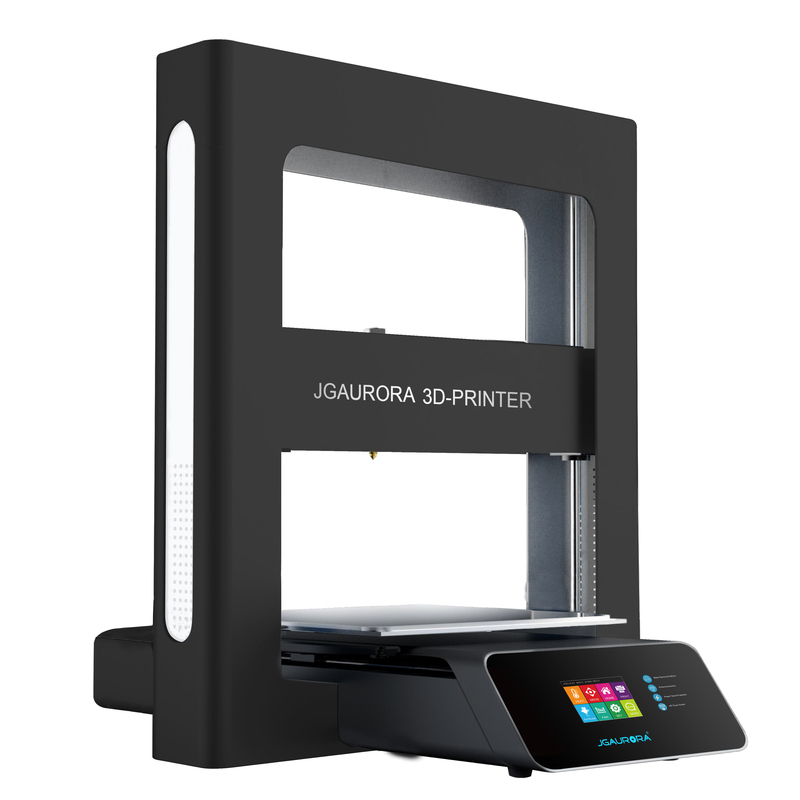 its has exactly the same codes/configs as CR-7 ands its did the job good with cura 2 . 1 But so far the firmware needs an update in my opinion , When u change some setups in configs , its not keep in the memory for later . Pre heat PLA/ABS setups for an example . u could change it , but next time u power on the machine , pre heat configs back to originals . ( same for Z and Y mm configs) and thats the why u have to give more cautions to trim bed before starting . Also bed balls ( wheels under the bed) have to be tightened before trim the bed . Laser is working perfect ,easy to prepare and use . The softwares they send in SD card are not working because the card itself damaged when they tried to format it lol . All files in it are corrupted . :) so u have to find & download the softwares way u like . if u going to print small objects and u wont be worry abt how ur machine looks like . go for CR7 instead .